Ever heard the saying “you don’t know what you don’t know”? That goes double when learning how to become a Real Estate Investor. There’s a lot to learn, but the great thing is that you can start right now and move forward in your training quickly. In this day and age you don’t even have to leave the comfort of your home or office to take lessons and learn new skills! (You can even stay in your sleep pants and slippers.) Of course, you will need to put what you learn into practice quickly to retain what you learn, and then you’ll keep practicing till your get great at what you’re doing. Becoming “consciously competent” can happen faster than you might think possible! It is the final stage of learning. So what are the things you need to know first to earn good money as a Real Estate Investor? Also known as “flipping” in some circles, this is a way that lots of investors get their start in Real Estate. That’s because starting out wholesaling properties makes a lot of sense. It’s one of the fastest paths to earning $10K a month. Of course, you won’t start out earning that kind of money, because your first deals are more for practice. You earn larger fees per transaction once you understand more about structuring the deals and rolling your fees into the contracts. Learning how to do that takes the right training and practice. The great news is that you can earn six figures this year if you start learning now. Once you understand how wholesaling works, you can move up the chain to learning different Real Estate Investing strategies. For example, if you want to create continued cashflow in your life you will want to learn how to buy properties and hold onto them. You’ll earn monthly income from the rents you will charge your tenants! Different from fixing and flipping, where you buy a property, fix it up and flip it as quickly as you can, the buy-and-hold strategy is for the long haul. You will buy the property, fix it up and rent it to tenants. You should look at making improvements to the property that will make it more appealing to tenants. If it’s a nice laundry room, adding storage, or adding nice appliances, these improvements attract tenants and make them want to stay long term. That means you win as the landlord. Your tenants win, too, because you cared enough to provide them with a clean, safe, affordable living space with a few amenities that make their lives easier. It’s a win-win! In a fix-and-flip you’re rehabbing the property to give it curb appeal and fix issues inside the property so you can sell it quick to another investor (who might be into buy and holding) or to a homeowner (looking to purchase the property to live in for years to come). You just need to understand whom you want to serve! Is it the retail customer, the wholesale customer or investor? That’s called understanding your market. The next logical step as you move up the Real Estate Investing ladder is to take what you learn in wholesaling and renting out your properties is to add more doors (units). You’ll start out investing in small multi-family properties, perhaps even duplexes and quad-plexes. You’ll graduate to apartment buildings with 12 or more doors. In short time you could own 72-unit complexes and larger! You may think you can’t invest in apartment buildings. Truth is, once you understand the basics of investing in properties and understand just how much income you can earn as you add doors, you’ll want to know how to become the owner of apartment buildings. However, you have to understand your Investor Identity first. That simply means what types of properties do you like to invest in. Do you like “Nordstrom,” “Target” or “Wal-Mart” type of properties (otherwise known as Type A, B, or C Class)? And what parts of the country/state/city/county fit that identity? Then you have to find properties that match. This is a learned skill. It’s not something you know intuitively even when you already understand more basic investing strategies. Even if you know how to find properties that match your goals, you might run into a wall. You don’t have the money to put into the deals, right? Wrong. You need investors who will let you use their cash and credit in your deals. If you want an in-depth look at this concept, I recently wrote a series of blog posts that talk about a student who used the tactics he learned in Cashflow Core Training to raise more than $2M in five months! There are tools and then there are TOOLS! This one is something I developed to help me explain how deals work when I’m sitting across the table from investors. You can draw this out on a cocktail napkin! It works like a charm. 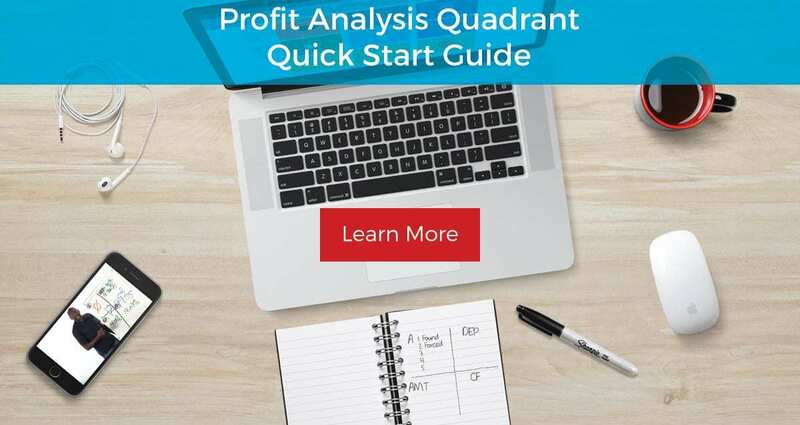 In this tool there are four quadrants where you and your investor can earn money. You can combine quadrants or give them away to the investor. What are they? Appreciation, Depreciation, Amortization and Cashflow! Each quadrant offers different benefits. You are most interested in ways the property will appreciate and you’re interested in how much cashflow you can make each month. The investor may be most interested in the other two quadrants, but may also want part of the Appreciation and Cashflow. How you divide the deal up depends on the structure of the deal, the price, the market and the goals of you and your investors. Learning to use this tool will help you raise private capital. There is zero doubt about that. I wrote an e-book titled Networking for Net Wealth, which gives you really good tips on networking for the purpose of raising private capital for your deals. One of the best ways is to host and attend Cashflow games. It’s like magic, because once you are able to explain what happens on the board also happens in real life, you’re half way there! For some people, hosting a Cashflow game can be scary. Speaking publically can freeze them up. The secret of getting over that fear is practice, practice, practice. Learn the rules by attending other people’s games, and then host your first game. You won’t look good while doing this new thing, but it’s necessary in your learning curve. If you want to raise money for your deals, find sellers, find buyers and find partners or even team members that will help you reach your goals faster, playing this game is absolutely necessary. You also need to get your mind around what it takes to be an entrepreneur and business owner. As a wholesaler you don’t need the same business skills as you do when doing the larger deals where you’re earning rents. That’s a matter of using the right forms and professionals (who know how to do your contracts). You won’t just suddenly know these things or have the skills. It takes time and training. So where do you find this training, especially if you don’t want to pay an arm and a leg? 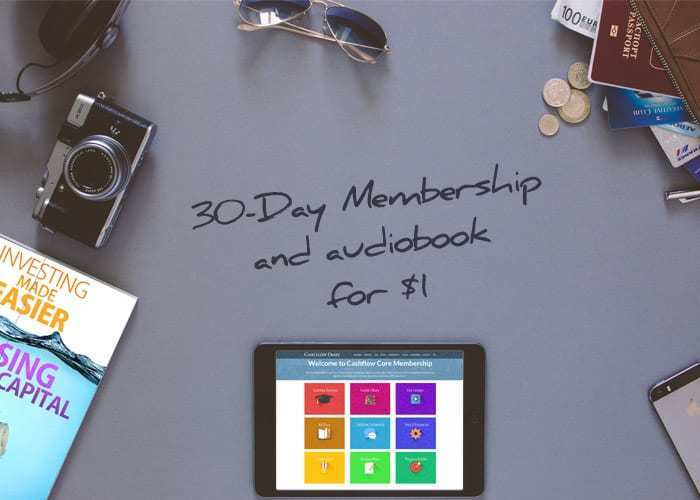 If you haven’t checked out the Cashflow CORE Membership, you are missing out on a tremendous learning experience. There are a number of courses, starting with wholesaling (Deals at Discounts) then moving through courses that teach you how to raise private capital and invest in larger deals. Plus you learn exactly what to say to investors, where to find them, how to develop the right mindset, how to host relationship-building Cashflow games and a whole lot more. With more than 100 hours of video in the courses and 187 videos (and counting), you’ll get everything you need to learn how to be a Real Estate Investor. In fact, many of the people who go through the training start making offers their first two weeks of the first course and have put their first few thousand dollars in the bank in their first four months! The cool thing is that this membership is set up in a way that allows us to continually add training videos, information and video courses to it forever. Since most of the courses are created based on the information we cover during our Private Mastermind Groups (12-week LIVE training experiences that happen only a couple of times each year) you get the absolute best of real-world lessons available anywhere. I want you to know more about the membership and give you more information you can use right away in your quest to be the best Real Estate Investor you can be. But there’s so much that I can’t share it all in this one blog post. I broke the content into 6 separate posts. Be sure to read them all! This first post is a bit long, and I will keep the others shorter. But this one covers a lot of ground. Hopefully you got something out of it you can use and you enjoyed reading it. If so, please share it with other individuals you think might also benefit. Keep an eye out for blog #2 in this 6-part series… coming soon! CFD 154 – Tom Schwab Tells Us to Fight for our Freedom and Success by Putting Systems and Strategies in Place!